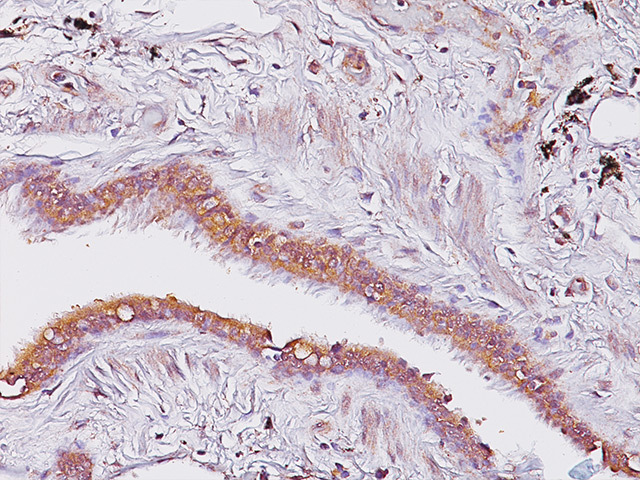 Calretinin antibody, a calcium binding protein related to calmodulin and calbindin-D28k, is present in subsets of neurons throughout the brain and spinal cord, including sensory ganglia. Studies have shown that calretinin, like calbindin, may be neuroprotective. 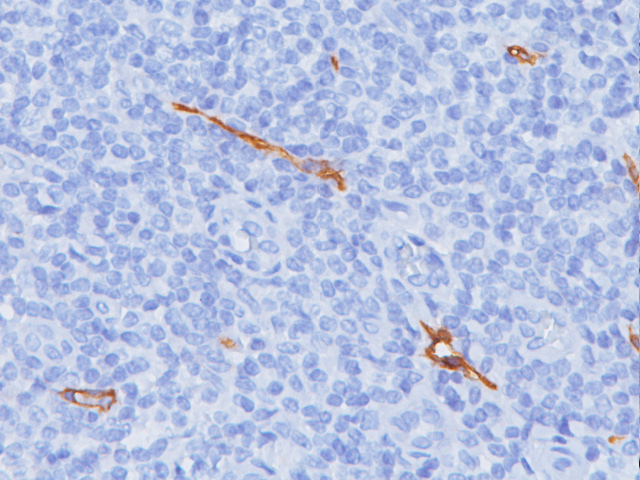 Immunohistochemical studies have shown calretinin may be useful in distinguishing mesotheliomas from lung adenocarcinomas, marking approximately 80-90% of all mesotheliomas. 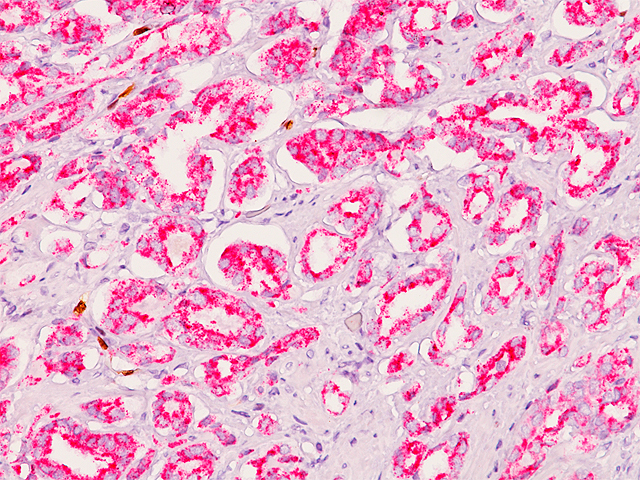 When used in combination with E-cadherin, calretinin may be a suitable panel for distinguishing metastatic carcinomas and mesotheliomas in pleural lesions. 1. Rodney Miller, MD. Communication; January 27, 1999. 2. Nagel H, Hemmerlein B, Ruschenburg I, Huppe K, Droese M. The value of anticalretinin antibody in the differential diagnosis of normal and reactive mesothelia versus metastatic tumors in effusion cytology. Pathol Res Pract 1998; 194(11):759-64. 3. Ordonez NG. 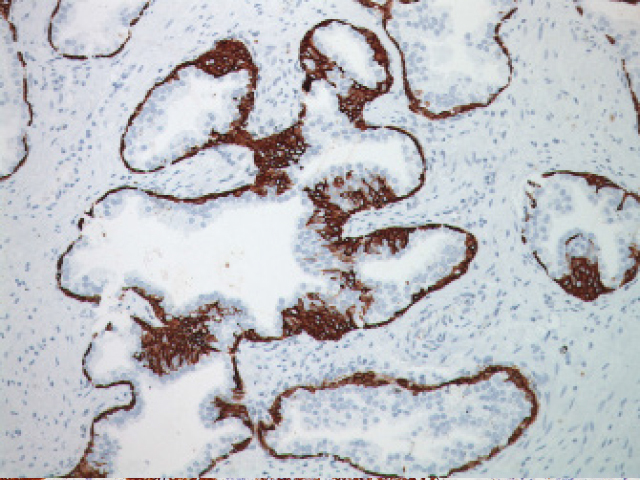 Value of calretinin immunostaining in differentiating epithelial mesothelioma from lung adenocarcinoma. Mod Pathol 1998 Oct; 11 (10):929-33. 4. Leers MP, Aarts MM, Theunissen PH. 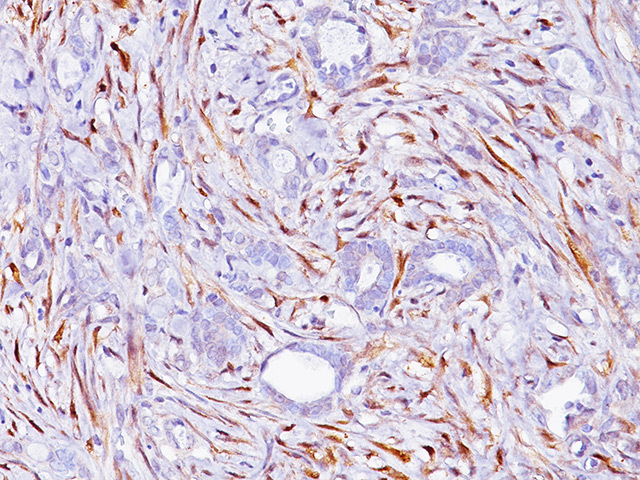 E-cadherin and calretinin: a useful combination of immunochemical markers for differentiation between mesothelioma and metastatic adenocarcinoma. 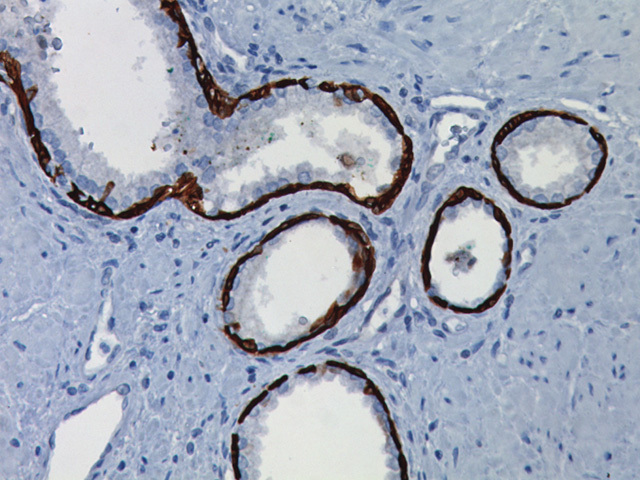 Histopathology 1998 Mar; 32(3):209-16. 5. 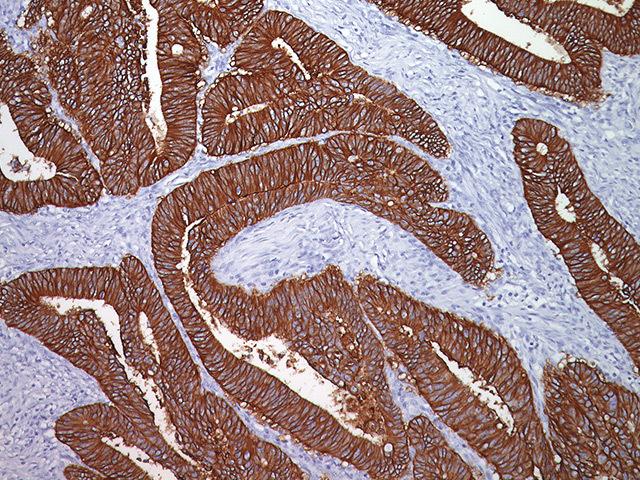 Riera JR, Astengo-Osuna C, Longmate JA, Battifora H. The immunohistochemical diagnostic panel for epithelial mesothelioma: a reevaluation after heat-induced epitope retrieval. Am J Surg Pathol 1997 Dec; 21(12):1409-19. 6. Gotzos V, Vogt P, Celio MR. 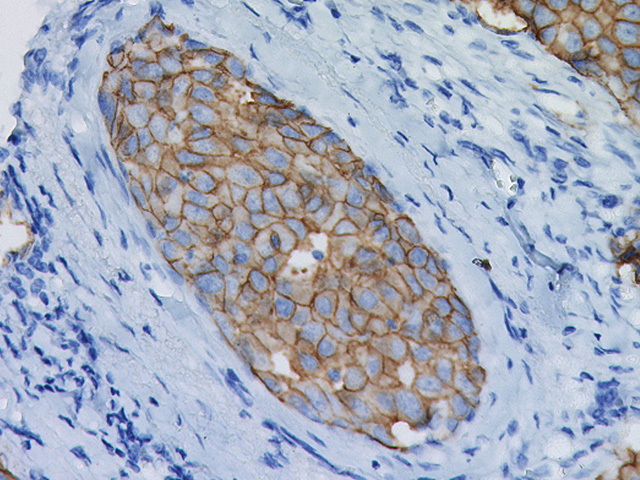 The calcium binding protein calretinin is a selective marker for malignant pleural mesotheliomas of the epithelial type. 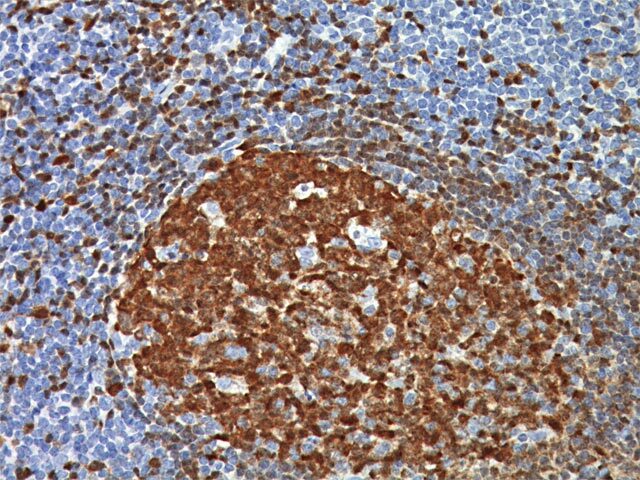 Pathol Res Pract 1996 Feb; 192(2):137-147. 8. National Committee for Clinical Laboratory Standards (NCCLS). Protection of laboratory workers from infectious diseases transmitted by blood and tissue; proposed guideline. Villanova, PA 1991; 7(9). Order code M29-P.